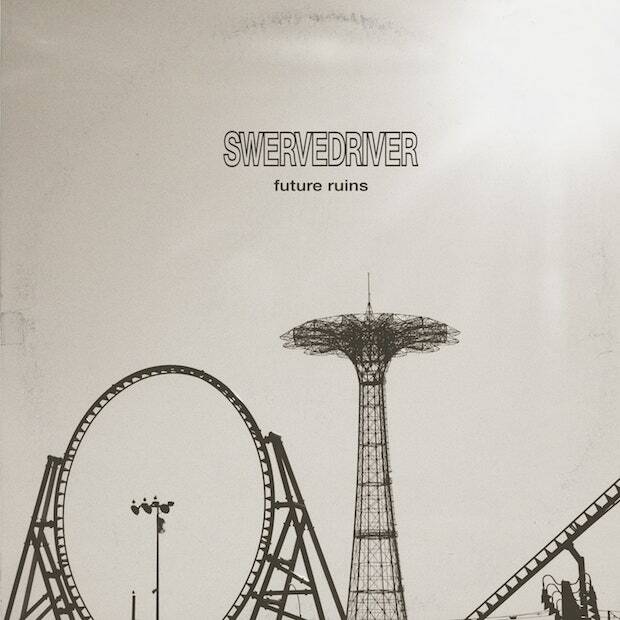 omgnyc: Swervedriver - "Drone Lover"
Shoegaze masters Swervedriver have announced a follow-up to 2015's I Wasn't Born to Lose. The record is called Future Ruins and it arrives on January 25 via Dangerbird. After releasing the lead single, "Mary Winter," back in October, the band has shared a second track from the album and this one really feels like an old school Swervedriver track. In classic form, "Drone Lover" finds the band veering away from the dreamy-bliss of their peers and really diving into the heavy guitar work as they expertly displayed on albums like Mezcal Head and Raise. It feels more in lik=ne with grunge and 90s alt-rock in the vein of Soundgarden and Smashing Pumpkins and less so Slowdive. It's a raw, powerful track full of fuzzed out guitars that give the song plenty of breathing room and still allows it to roar.